Contains No: GMO, dairy, wheat, gluten, soy, artificial colors or flavors. 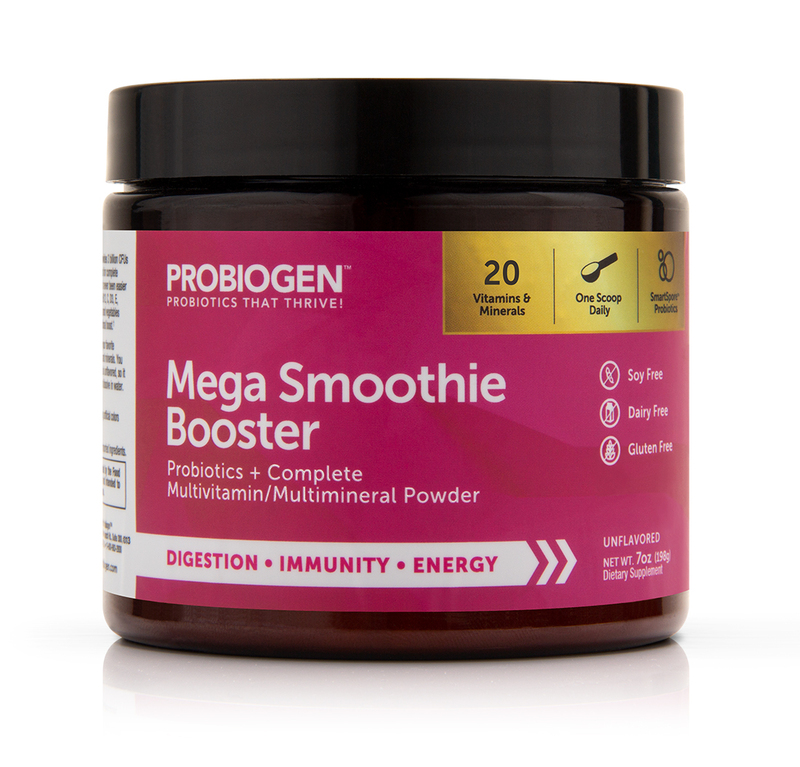 Suggested Use: Mix one scoop of powder with your favorite smoothie for a daily dose of probiotics, vitamins and minerals. You can also mix with yogurt or oatmeal. Our formula is unflavored, so it won’t change the taste of your smoothie. Will not dissolve in water. Caution: Consult a health care professional before using this product. Vitamin K may counteract the effects of anticoagulation therapy, and therefore is not recommended for patients on blood thinning medications. Store in a cool, dry place. Do not use this product if the safety seal on the bottle is broken.